Joe Birch began playing guitar at age 10, picked up bass at 14, and has had a great time with this pursuit since then. On the other hand, getting started with playing music can be (even more) challenging for the millions of people who have impairments to their speech, sight, or even hearing. 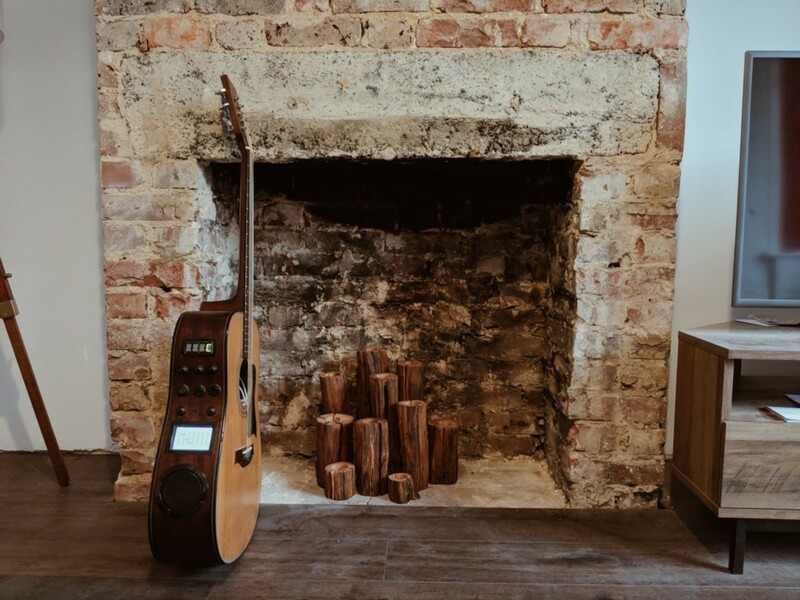 Cognizant of that, Birch has come up with an enhanced guitar called “Chord Assist,” which assists someone learning the instrument in a variety of ways. Upon voice requests, the user is shown how to play a certain chord on a built in-display on top of the guitar. It can also emit notes via a speaker in the bottom of the guitar body to help with tuning. This functionality would be useful for anyone learning to play the guitar, but for those that are blind, he’s included solenoid-actuated Braille pads that pop up for feedback. The device presents a button input interface for those who can’t speak as well, and the video output could certainly be used for those that have difficulty hearing. Chord Assist’s extra functionality runs on a Raspberry Pi, along with other hardware stuffed in the guitar’s body. Google Cloud text-to-speech is implemented for voice recognition, in addition to storing chord images — as outlined in the project’s detailed write-up. Accessible Guitar Features Multiple Input and Output Methods was originally published in Hackster Blog on Medium, where people are continuing the conversation by highlighting and responding to this story.